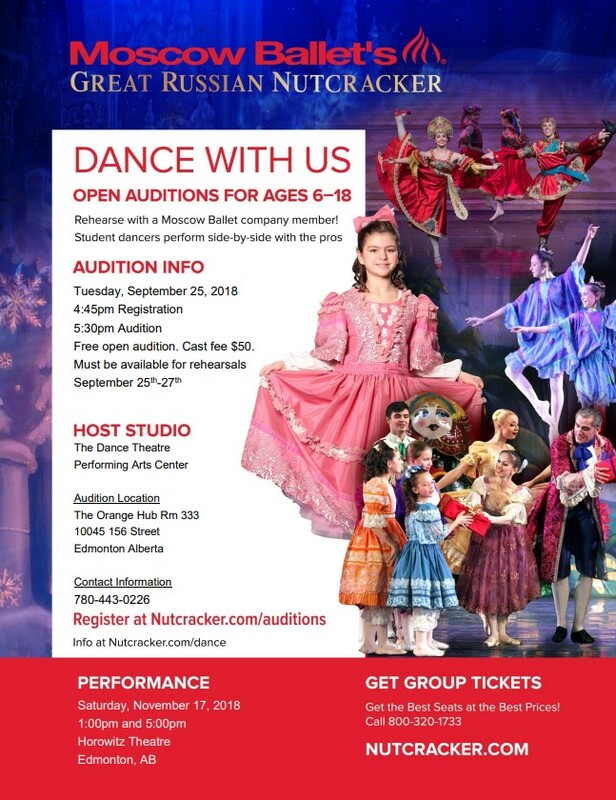 The Dance Theatre Performing Arts Center is proud to be selected as Host Studio for Moscow Ballet’s Great Russian Nutcracker performance in Edmonton, on Saturday November 17, 2018. Free open audition. Cast fee $50.